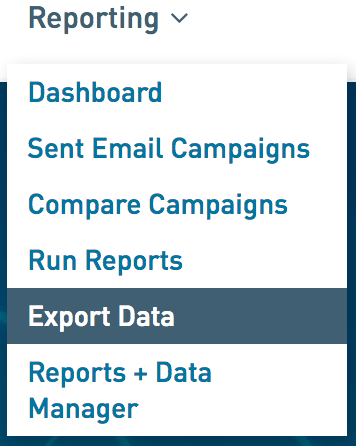 Export email campaign event data such as opens, clicks, unsubscribes, soft bounces etc. The event data export gives you the ability to include subscribers who DID have events. WordFly will include or exclude subscribers based on the event information selected. For example, if you include Opens, you could opt to exclude subscribers who Clicked. The resulting export would provide you with subscribers with Opens but exclude any subscribers who Clicked (even if those subscribers has Opens). 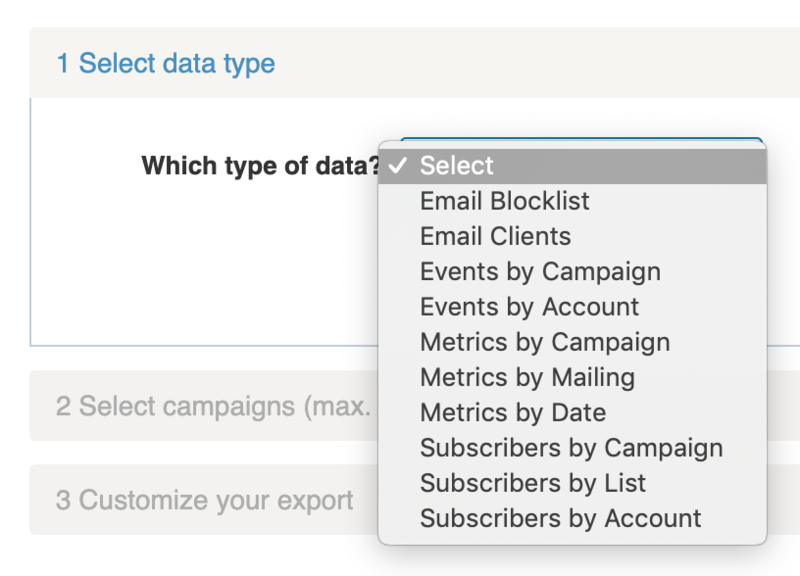 In order to export a list of subscribers who did not have an event, such as opens or clicks, you can use WordFly segmentation in a new email campaign. Go to Emails > Email Campaigns and select to Create a campaign. When you get to the Subscribers tab, assign a list and then use the More list actions dropdown to select Segment your list. You can use the on-screen options to segment by events (did open, did not open, did click, did not click). Once you have your list segmented you can export your segment or send to the segmented list. 1. Go to Reporting > Export Data. 2. Under section 1, select Events by Campaign. Then click I'm Done. 3. Under section 2, check the campaign(s) you would like to review. Then click I'm Done. You can export up to 50 campaigns at a time. 4. Under section 3, select the data you would like to include in your export for the selected campaign(s) and adjust the date range. The date range will default to the send date of the first campaign selected and the date of the last response of the most recently sent campaign selected. 5. Then click Start export.